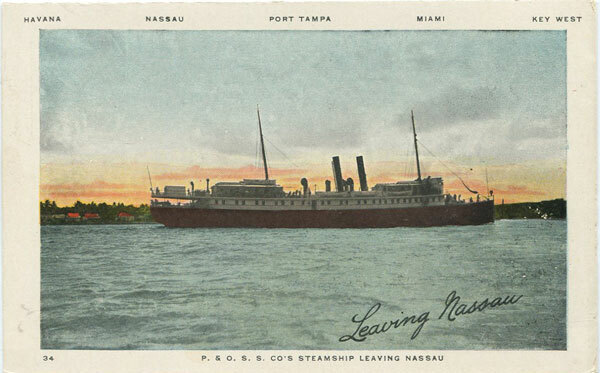 P. & O. Leaving Nassau. 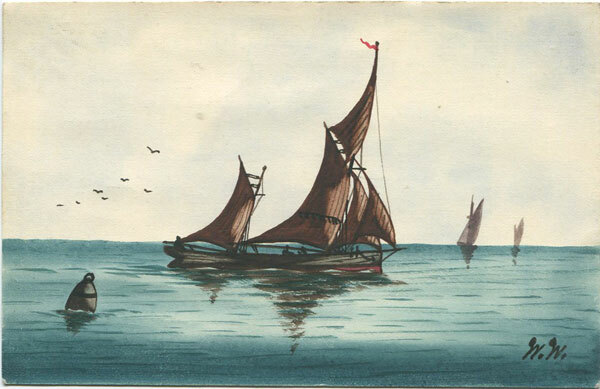 Early undivided back Bahamas picture postcard, circa 1902, fine unused. 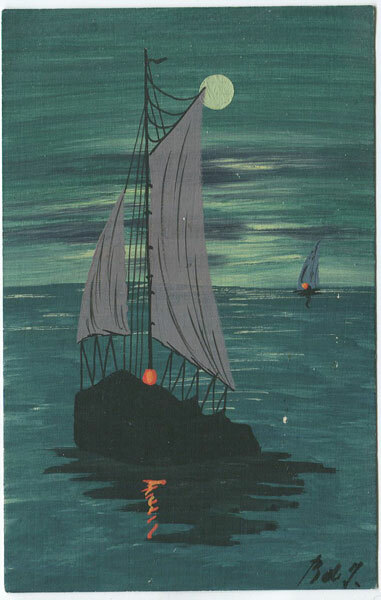 on plain backed postcard size card, circa 1910. Fine. FRANK OVERTON The Russian Outrage. 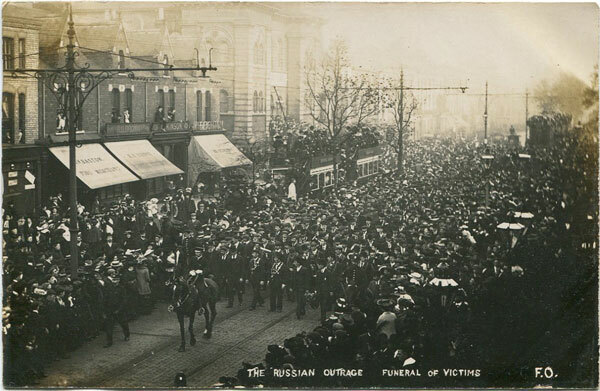 Funeral of Victims. 1904 real photo postcard, fine unused. 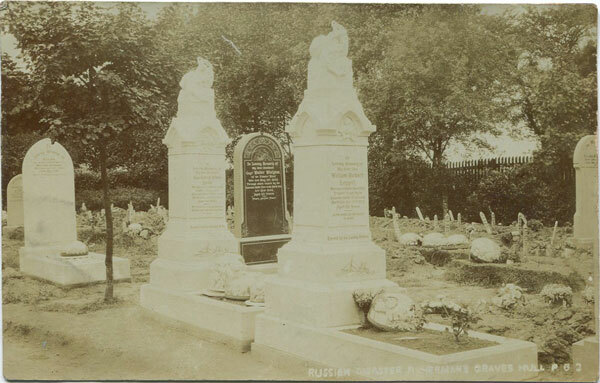 Also another postcard showing graves of sailors. JOSE ANJO H.M.S. 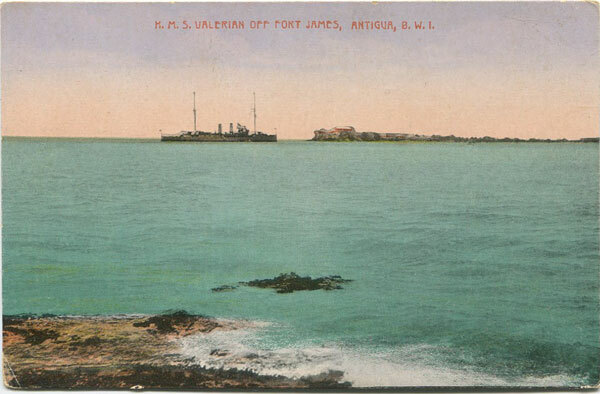 Valerian off Fort James, Antigua, B.W.I. 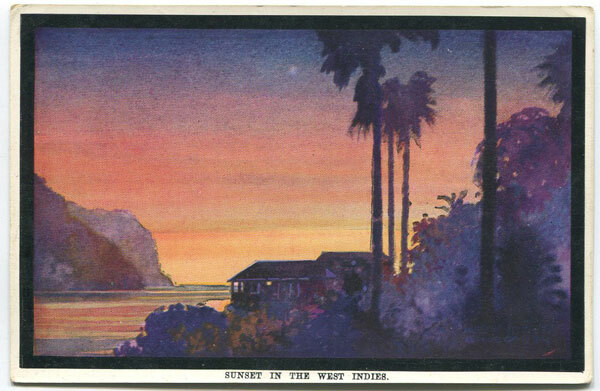 Old Antigua postcard, circa 1910, clean unused. 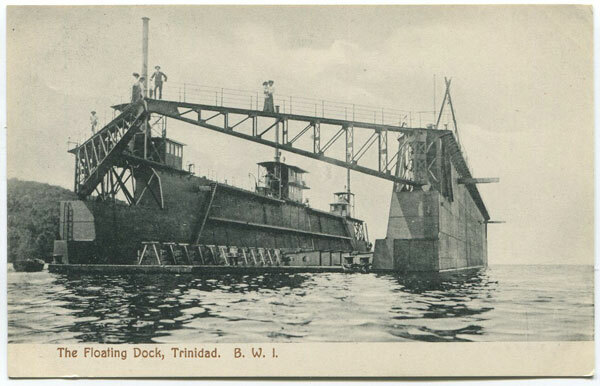 MUIR MARSHALL & CO The Floating Dock, Trinidad. B.W.I. 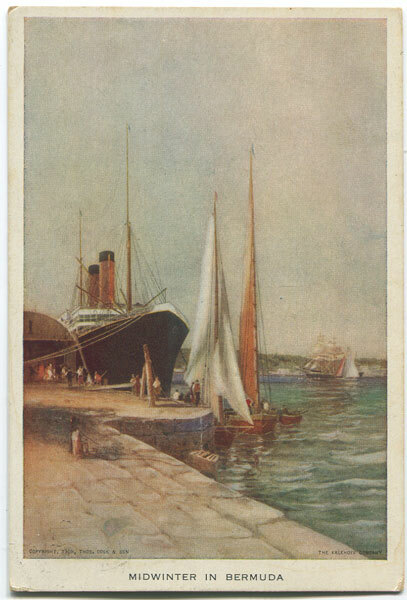 Old Trinidad postcard, circa 1908, small collector's h/s on back, fine unused. WALTER RUTHERFORD AND A.J. 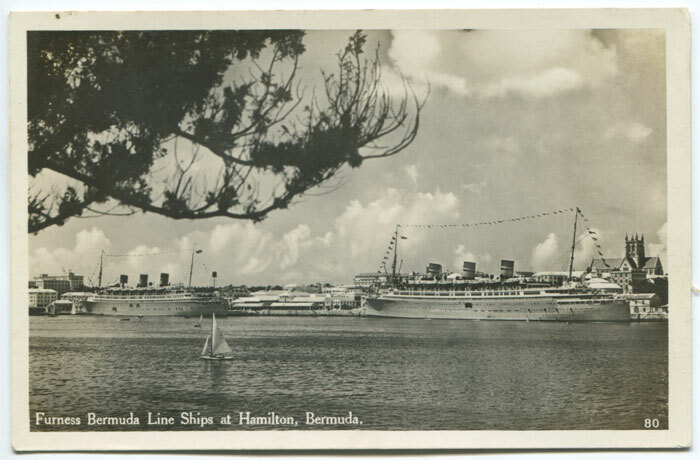 GORHAM Furness Bermuda Line ships at Hamilton, Bermuda. 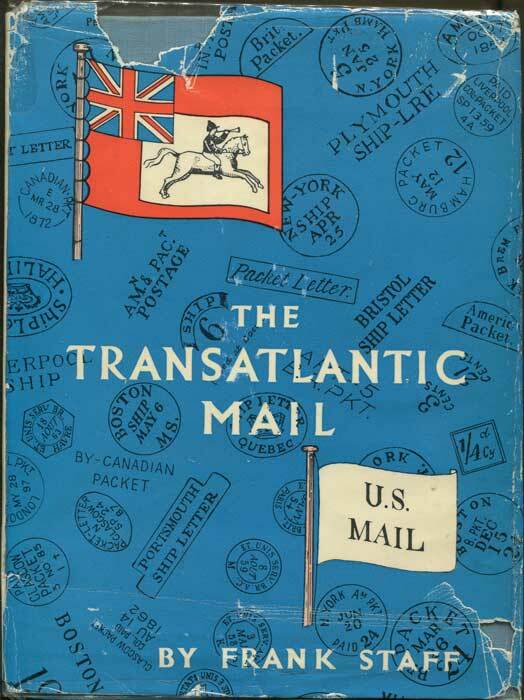 - No 80. 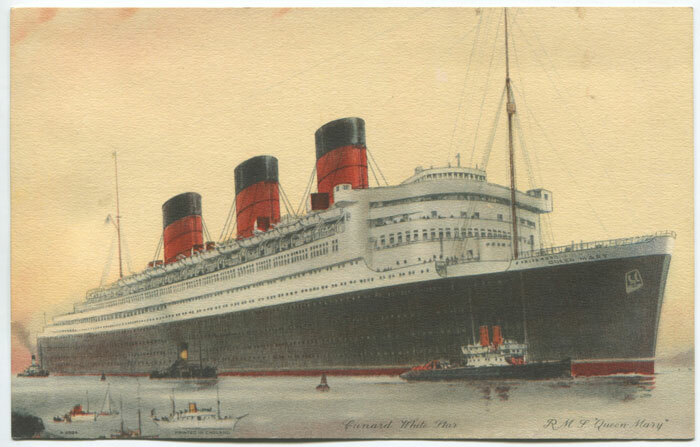 Real photo postcard, circa 1935, clean unused. 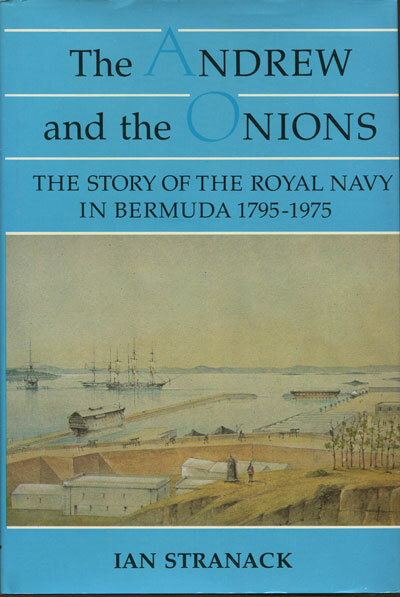 THOMAS COOK & SON Midwinter in Bermuda. 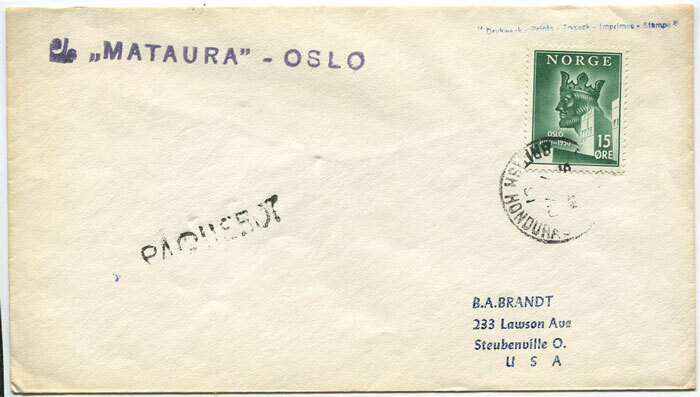 Art type postcard, used but stamp removed. 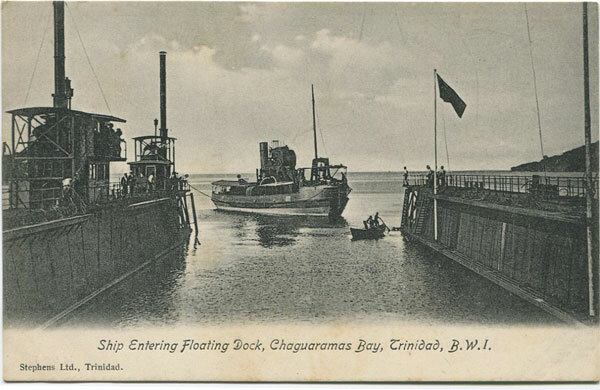 Dated 1908. 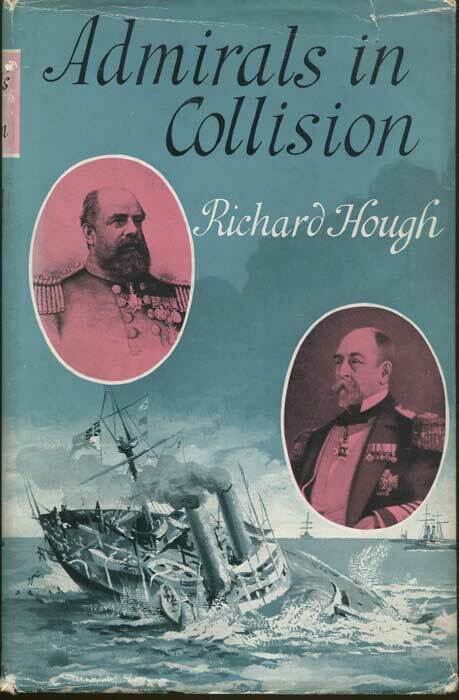 N.C. CROPPER H.M.S. Ariadne, St Vincent, W.I. 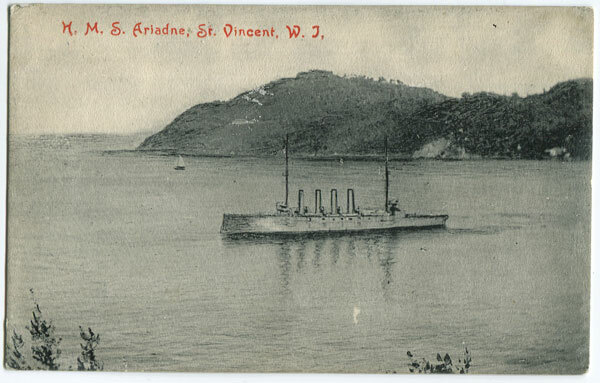 Early undivided back St Vincent postcard, circa 1906, with small corner crease. H.H. STRATTON, CHATTANOOGA, TENN. 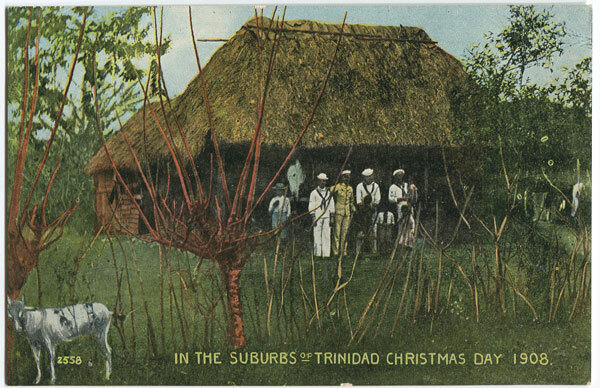 In the Suburbs of Trinidad Christmas Day 1908.